I know that many people today will be laying out egg hunts in their beautiful gardens, cooking a roast and spending quality time with the people they love – to those I say Happy Easter. There’s another cause for joy, and in fact it’s not only a double celebration but a triple celebration! 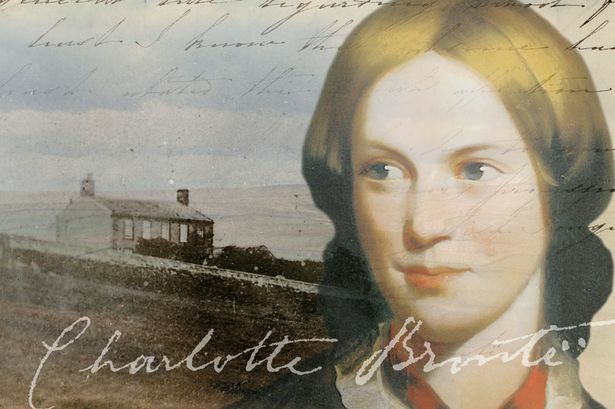 On this day in 1816 a very special event had taken place in Thornton Parsonage near Bradford, as it was on this day that a girl we would all come to know and love was born: Charlotte Brontë. Almost exactly a year later, on the 20th April 1817 a special event of a similar kind was taking place in Birstall, in the West Riding of Yorkshire, for the day before Charlotte’s first birthday saw the birth of Ellen Nussey. 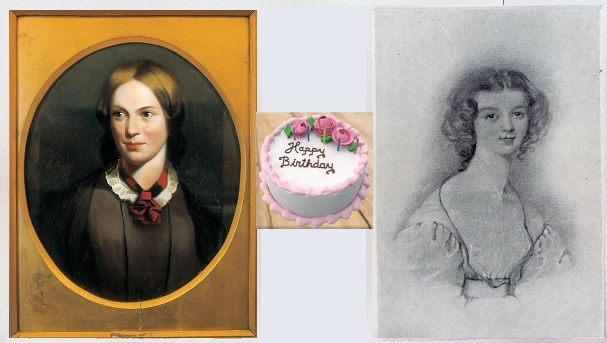 Happy birthday, Charlotte Bronte, 203 today! That’s one reason that Anne’s novels feel so vital and relevant today, she was throwing a spotlight on the society and times that she lived in, and fighting for equality and tolerance. Social justice, in its broadest sense, is something we associate more with Anne’s work than that of her sisters, and yet there is one other Brontë novel that squares up to some of the social problems of their day: ‘Shirley‘ by Charlotte Brontë. 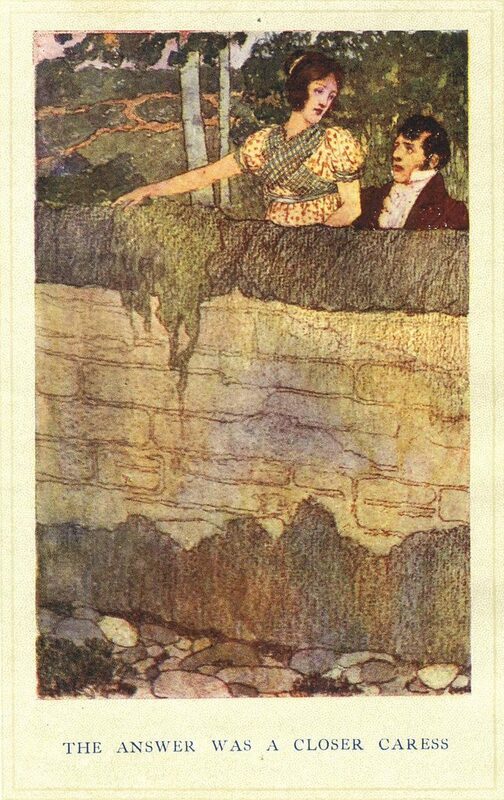 An illustration to Shirley by Edmund Dulac showing Caroline and mill owner Moore. ‘Shirley’ is a long and complex novel; it’s my favourite Charlotte Brontë work, a view that the author herself shared, although I know not everyone agrees. At its heart is a love story, or two love stories to be precise, but it’s also a novel in which Charlotte looks at some of the inequalities of her time. 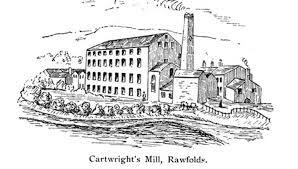 The Luddite unrest portrayed in her novel was well known to her father Patrick who was in situ in Hartshead at the time of the attack on nearby Rawfolds Mill (that’s it at the top of this post), but Charlotte also uses the Luddite cause as a symbol of the Chartist unrest that was tangible at the time that she was writing ‘Shirley’. 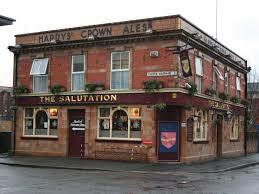 The north of England felt like a tinderbox, and a sudden spark could have set a working class revolution ablaze. With political uncertainty of a different kind engulfing the UK at the moment (don’t worry, I’m steering clear of discussing that), ‘Shirley’ really is a novel for our times. I know that lots of people are reading it at this very moment, and one such reader contacted me lately with a question which we will look at in today’s post. 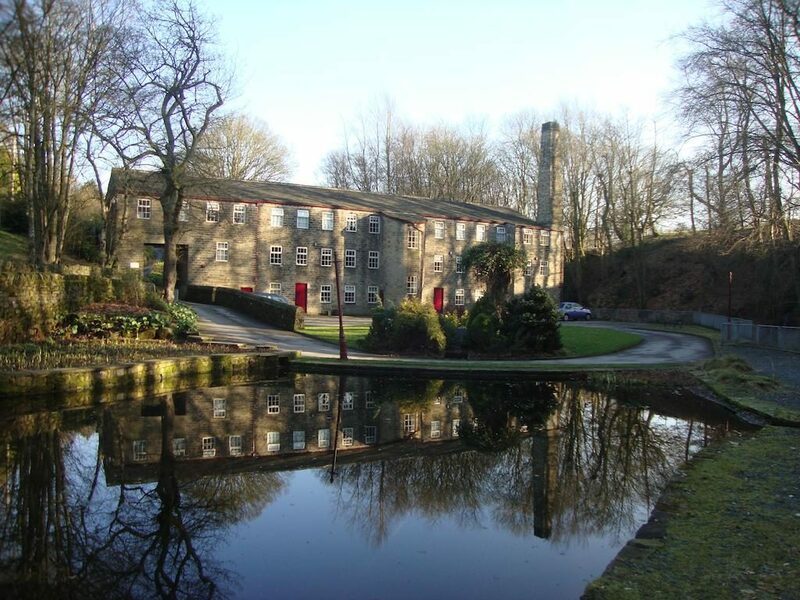 They had visited the beautiful Hewenden Mill near Haworth; it’s now a luxurious place to stay, and they also host a number of retreats and events there, but as we shall see it was once very different. 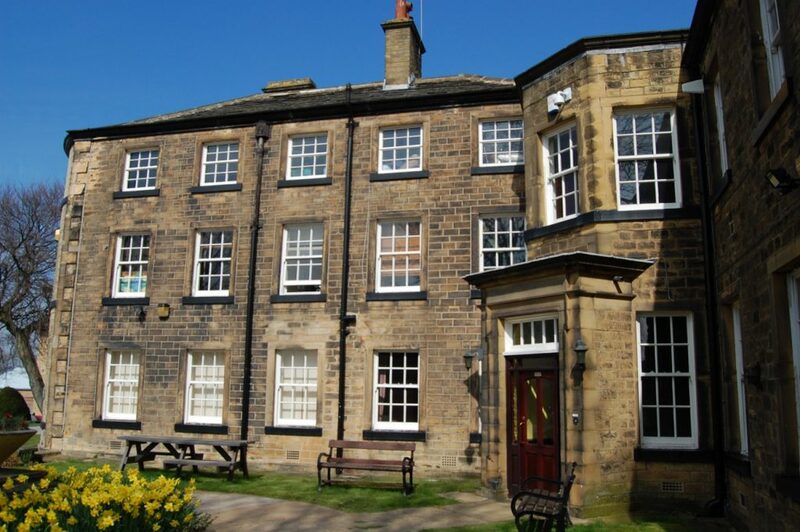 They had been told that the mill may have connections to ‘Shirley’, and that Charlotte Brontë had once talked to the owner, a Mr Butterfield, there. That’s an intriguing suggestion which I hadn’t hear before, and although the mill and Butterfield were well known to Charlotte, it can’t be said that they were on friendly terms. The woolen industry completely transformed the West Riding of Yorkshire, and neighbouring Lancashire, in the first half of the nineteenth century, and at the time the Brontës lived there, the population of Haworth was rapidly expanding. Many of the populace worked as hand loom weavers and spinners in infernally hot rooms within their own homes, with one property often housing multiple factories. Others, however, worked long, punishing hours at the local mills, and Hewenden Mill was among the largest. The growing population, poor working conditions and lack of a clean water supply combined to make Haworth one of the unhealthiest places in England, comparable to Whitechapel and other inner London slums. 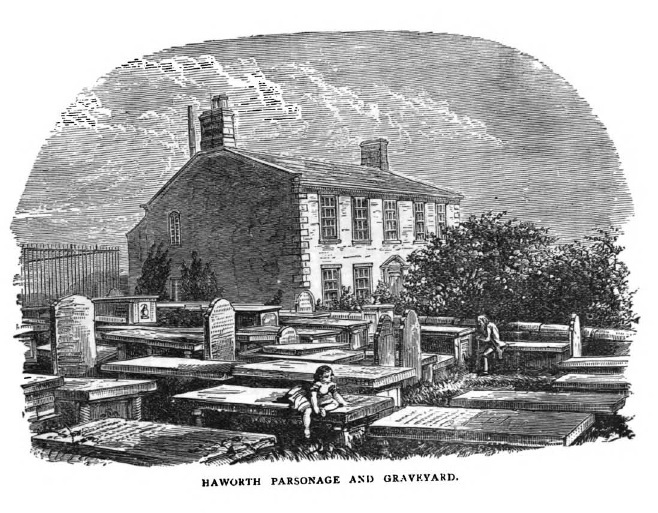 Patrick Brontë realised this, and it was his persistent lobbying that led the government to send an official inspector to Haworth, Benjamin Herschel Babbage, in October 1849. The findings were shocking, something had to change. Nevertheless, Patrick still had to lobby for the recommended changes to be implemented, including better sanitation and the building of a reservoir on the moors outside the village. This saved thousands of lives over the years and decades to come, but one man in particular opposed Patrick’s philanthropy: the mill owner Richard Shackleton Butterfield. Butterfield was, in short, almost a caricature of a wicked Victorian industrialist. Immensely wealthy, he paid his workers the lowest wage possible, and vehemently opposed any moves to improve the quality of life of mill workers. 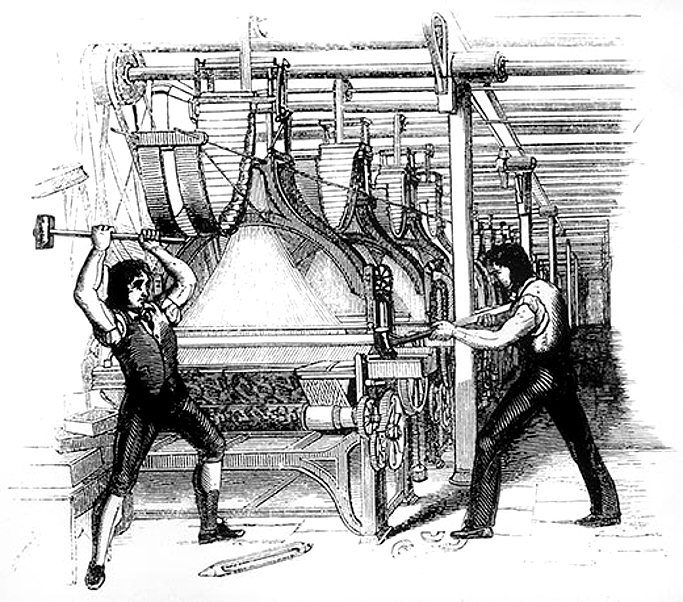 His mill was staffed by the bare minimum number of workers, which he achieved by making them work two looms each at a time, a very dangerous practise. On 18th May 1852 his workers downed tools and went on strike. When they refused to return, Butterfield, who was also a magistrate, had eight ringleaders arrested, and two were sentenced to do two months’ hard labour. A third man, Robert Redman declared in court that he had evidence which would prove Butterfield’s malpractice and law breaking. We don’t know the nature of this evidence, but it was enough to make the mill owner throw up his hands and admit that he was at fault. The men were freed, and Butterfield was ordered by the court to pay the mens’ wages. 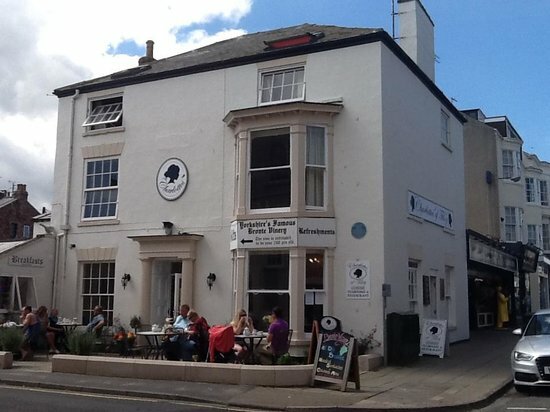 Cliff House, Filey from where Charlotte wrote to her father – now a fish and chip restaurant. Charlotte was clearly conflicted. 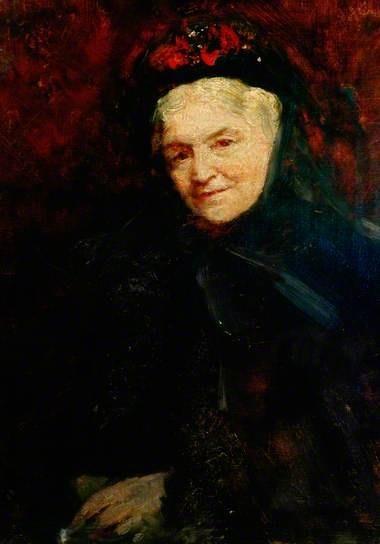 Earlier posts have shown how Charlotte herself had become known around the Haworth area for her philanthropy and her kindness towards the poor, and yet at heart she was also a believer in many of the social systems that were in place at the time. This conflict of the author is also evident in ‘Shirley’, are we supposed to side with Moore the mill owner, who is the romantic hero after all, or his downtrodden workers? 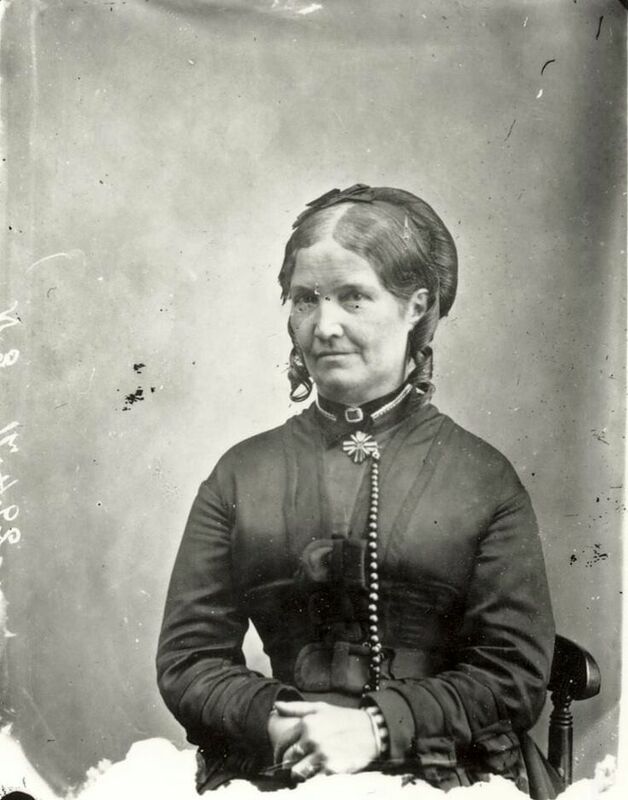 One thing seems clear to me, if Charlotte Brontë had indeed walked and talked with Richard Butterfield, it would only have been to mediate in some sort of dispute between him and her father. Both Richard Butterfield and Patrick Brontë were among the most influential and powerful men in the Haworth district at the time, but there the similarity ended. “The heavy, walnut door creaked on its hinges in the Paternoster Row office, and candles flickered around a room that was as gloomy within as the fog drenched street without. ‘A letter for you, Mr Aylott’, a shy, quiet voice intoned before placing the missive on the wax stained table before him as proof of his assertion. 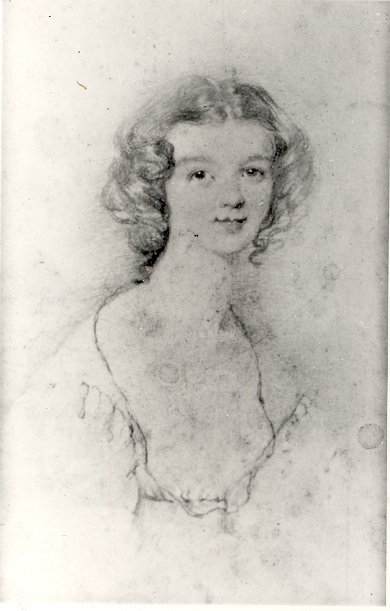 Forgive me my momentary reverie there; I was imagining a scene that might have played out on this very week 173 years ago, for on 6th April 1846 Charlotte Brontë, still using her pen name of Currer Bell, sent the letter mentioned above to Messrs Aylott and Jones of London. It was a letter that went unheralded at first, but it was to change literary history forever, as it showed that the Bell brothers, by which of course we mean the Brontë sisters, had turned their attention from poetry to novels. 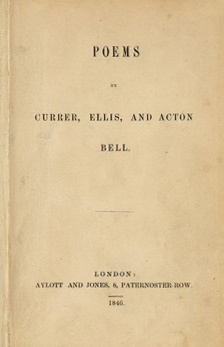 Aylott & Jones had recently published the sisters’ brilliant collection of poetry, ‘Poems by Currer, Ellis and Acton Bell‘; it had gained positive reviews, where it had been reviewed at all, but sales had been poor, and the sisters seemingly had little hope of recouping the £35 or so they had paid the publisher to see their work in print. Many people would have given up in despair at this point, or at least been greatly discouraged, but thankfully for us all, our favourite Haworth family were made of sterner stuff. They realised that their writing was good, but the form they had placed before the public was wrong. The early decades of the 19th century was the golden era of the Romantic Poetry movement, and sales of verse had been strong, but by the time the Brontës were writing they were already in steep decline. 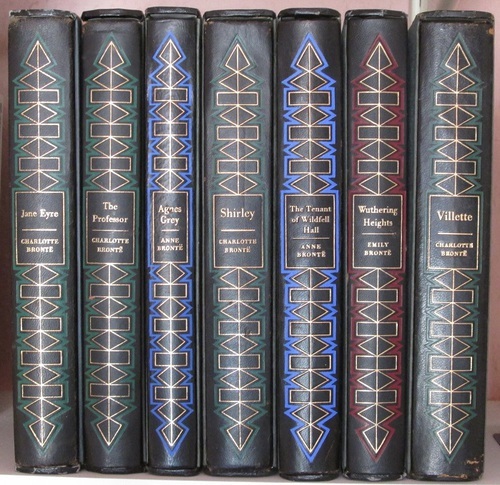 The slump was so pronounced that even legendary poets such as Elizabeth Barret Browning and William Wordsworth were finding it hard to persuade great poetry publishers such as Edward Moxon to publish new volumes of their work. Wordsworth’s sales were falling by 1846, today marks his 249th birthday! With this in mind, Charlotte, Emily and Anne decided to return to an old love: prose. Their juvenilia is full of sparkling prose (although sadly Anne and Emily’s Gondal prose is now lost) and was a prodigious output, and these years spent honing the craft of novel writing in childhood and youth were to pay dividends. Did Emily and Anne set to work on their ‘prose tales’ after the failure of their poetry enterprise as indicated above? The evidence seems to suggest they may already have been working on them for some time. 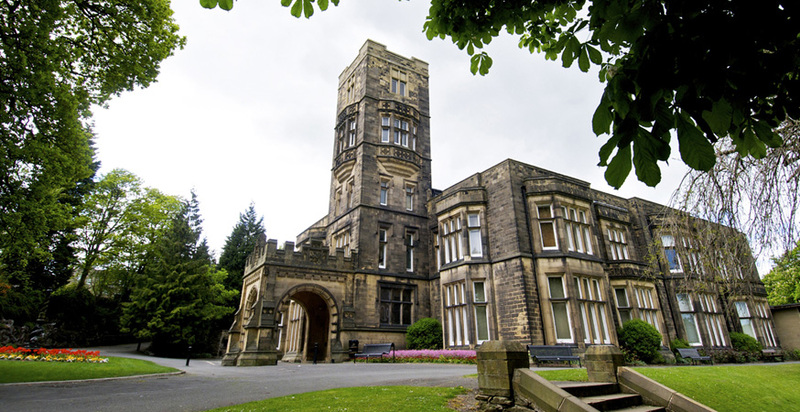 ‘Wuthering Heights’ appears highly influenced by the strange but true story of Law Hill school in Halifax, where Emily taught in 1838, and the nearby High Sunderland Hall is often thought of as an inspiration for the titular building of the novel. 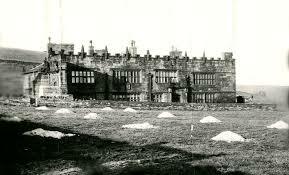 Was High Sunderland Hall, Halifax the original Wuthering Heights? It seems to me that this ‘life of an Individual’ is likely to be a prototype of ‘Agnes Grey’. Emily and Anne may have long been working on their novels then, and eventually they found favour with the publisher Thomas Cautley Newby, although, just as Aylott & Jones had done, he asked for the writers to pay a fee to enable publication. ‘She had the heart of Robert Bruce within her, and failure upon failure daunted her no more than him. 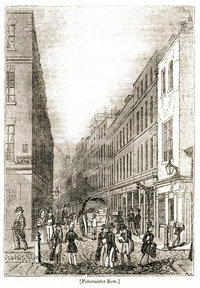 Not only did ‘The Professor’ return again to try his chance among the London publishers, but she began, in this time of care and depressing inquietude – in those grey, weary, uniform streets, where all faces, save that of her kind doctor, were strange and untouched with sunlight to her, – there and then, did the genius begin Jane Eyre‘. That letter of April 1846 then is one we should all cherish, for from it came immortal works of beauty and power. What was unheralded and unloved has become adored the world over, and will be while the sands of time still run. 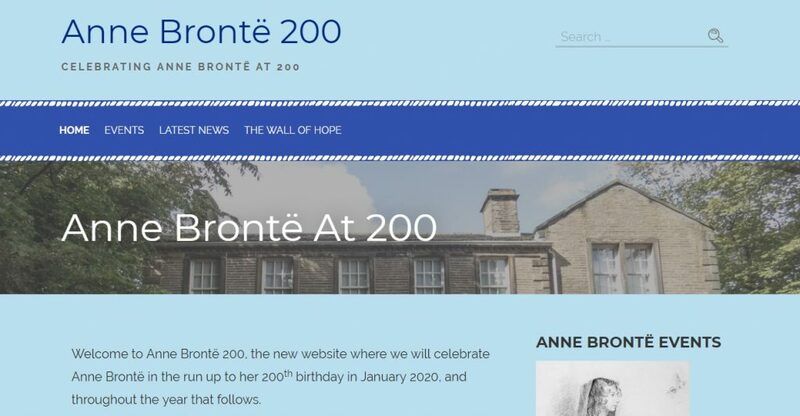 Posted on 7th April 2019 7th April 2019 Leave a comment on Why Did The Brontë Sisters Turn To Novels?